Montenegro was high on my hitlist for European countries, I heard the stories about how magical it was, all this chat about ‘hidden gems’ and ‘undiscovered beauty’, f*ck yeah I thought, that’s right up my street. 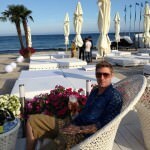 I met an American guy in Odessa, Ukraine (you remember, the place I was arrested twice in one day) and he raved about Budva, one of his favourite places he said. Awesome. And then I arrived. Oh God. I can safely say that Budva is one of the least likeable, most ugly, over rated tourist hotspots I’ve ever come across. I’d go as far as proactively telling everyone to not come here. For my regular readers who know me and my love for Thailand, this is Pattaya, this is Phuket. Horrible places that people should never come, yet seem to be full year-in, year-out. If you like resort holidays, sunlounger to sunlounger with less than an inch between them, hordes of Russian and Australian holidaymakers with cheap arcades, happy hours on imported booze, and fake sunglass stalls, then this place is your nirvana. If you wanna experience Montenegro, steer well clear. One of the biggest problems with Budva is that it should be beautiful. 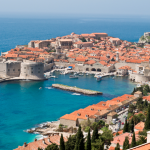 It’s on the Adriatic coast, with crystal clear water, huge towering mountains as a beautiful backdrop and an old town to marvel at, but something’s gone awry. This is the posterchild for unsustainable tourism. The beaches have turned filthy, there are so many boats in the water that the clarity is reducing, drunk people line the streets at lunch time, the whole atmosphere is wrong and I couldn’t wait to get out of the place, which I duly did. So my backpacking buddies, don’t make the same mistake I did, don’t stay here. If you’re a glutton for punishment day trip it here from the beautiful neighboroughing towns of Perast and Kotor and be thankful you didn’t wind up avoiding fish and chip restaurants and fighting Russians who’ve had a little too much vodka. Happy travels. It was completely uncrowded when we visited in early May. No one was on the beaches, the old town was uncrowded and we enjoyed our single night there. So I would say avoid it during the peak summer months, but it’s pretty lovely in the off-season. I lived there for some months but it was way better after September when beaches are a bit less crowded. For me it was heaven. It’s a gorgeous country, and it’s way more than just Budva and Kotor. I was in Bar, Ulcinj, Sutomore, Petrovac.. ALl not on the list of things to see but I would definitely go back again and again.. if the horror of stray dogs and heartless locals would stop. I’m not really agreeing on all of what you say, but since you travelled a lot more, I can’t argue. Yes, I am agree with you. This place is too expensive for backpackers. That’s why I adore Budva. This is my favorite place, but you are right again – not in summer. 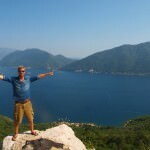 Nice BLOG, Best Rent a Car in Budva on demond, welcome to Montenegro! you suggest me to stay in Kotor or Perast instead of Budva ? Actually, this is the first time to hear from someone that budva is not beautiful at all. I will visit Montenegro with my wife and kid. We like beaches, shopping, natüre and relaxing. What do you suggest me more ? When deodorizing walls, it is best to keep in mind a few safety measures. There are always options, and the path to finding the best ones is through accurate content.